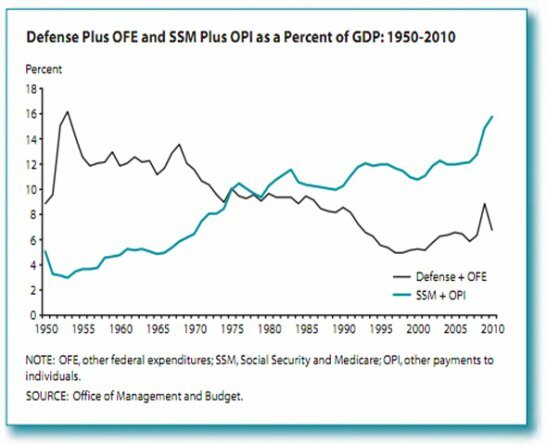 Here you see the expenditures for the United States government in two categories: Defense plus Other Federal Expenditures and Social Security/Medicaid/other personal payments. 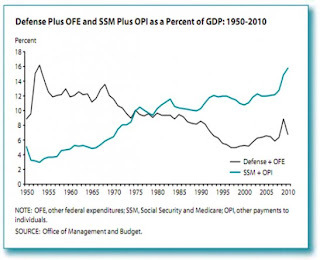 Both as a percentage of GDP. 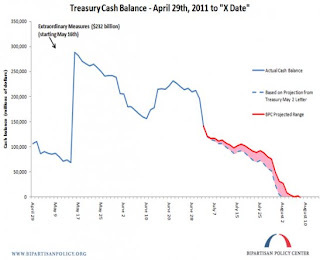 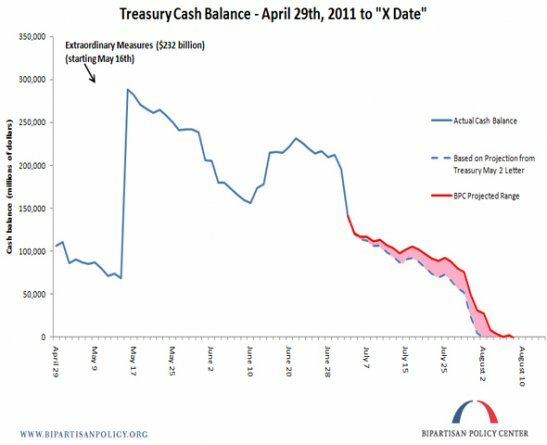 This chart views the cash that the Treasury is expected to have until the debt ceiling is reached. 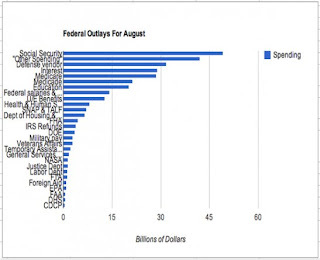 These are the amounts the United States government has to pay for different categories in August.